In season 2014-15 Brunswick Cricket Club entered its first Womens team in the Community Womens competition to fill a need in the local area. The goal was to develop into a fully fledged Premier Womens Club. In season 2015-16 the club entered two teams in the WCCC competition and at the same time began talks with the Carlton Cricket Club with the aim to enter, in partnership, a jointly run Womens Premier team. In season 2016-17 the Carlton Brunswick Strikers Womens team was admitted to the Premier Seconds Competition winning the One-Day Premiership in their first season. Building on its successful Junior Development squad, the club entered three Under 13 junior girls teams. 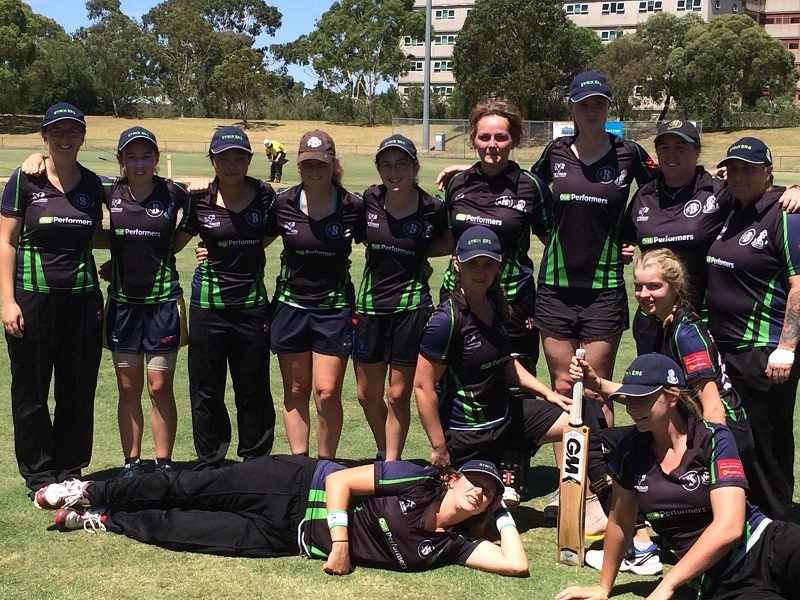 After another successful season in 2017-18 the Carlton-Brunswick Women along with Ringwood Women were promoted to fully fledged Premier Firsts status in a restructured eight team Womens Premier cricket competition in 2018-19. The club currently fields three senior teams in Premier Firsts, Premier Seconds and the Womens Community Cricket Competition plus junior girls sides in the NW Under 13 and Under 15 Girls competitions. The home base for training and matches is split between Princes Park Carlton and Gillon Oval Brunswick. Carlton-Brunswick now offers a seamless pathway for talented female Cricketers from the entry level at Brunswick Juniors or other Junior clubs through to the Premier Firsts level and beyond. With the resources of both the Carlton CC and the Brunswick CC behind the Womens program the club offers expert coaching across the levels. The coaching team is led by head coach Karl Mayne and assistant coaches Rachel Reynolds, Luke Money (Carlton) and Lachlan McClean (Brunswick). The Junior Development is co-ordinated by Rob Moore. Games are generally played on Sundays – the format is a combination of T20 games and longer ONE-Day games. New players (young and older) are very welcome. Follow the Strikers on their Facebook page HERE and Twitter page HERE.